Have You Ever Found Yourself Driving Down A One-Way Road? 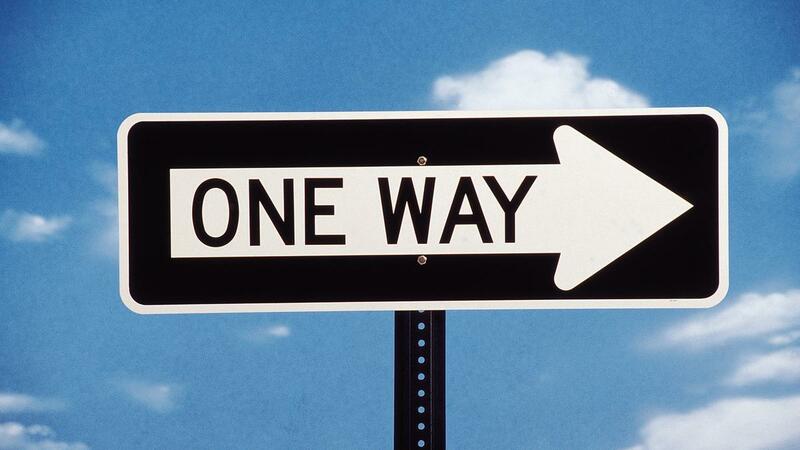 Most of the time when you turn in to a one-way road, you know it’s one-way as soon as you turn in. The worst kind of one-way roads are those that look like normal roads for a long time. These roads always take you to a place where you don’t want to be. Hiring people you don’t like. These are all one-way roads. It is extremely difficult to turn back the clock and reverse the damage once it’s been done. What’s worse is that if you keep going down that road without realising it’s one-way, you might drive right past where you were aiming to get to in the first place. Next Post Michelin Star Chef Goes Out Of Business! This is so true. I can totally relate to this. I have been travelling the one way road to nowhere, and I am not happy, maybe it’s my choice, I didn’t try hard enough, I didn’t strive harder. This made me feel sad. But you put this out very well. I think we’ve all had these moments in our life. I would say that a certain amount of exploration and uncertainty is a good thing, because it allows you to discover who you are and what you want to do. But, it’s also important to be aware of the roads you are on and being honest with yourself about where you are trying to get to and if you think you can get there. Looking forward to reading your blog! 🙂 All the best! Yes. I will need to change my old ways, I will create my own path, the path to happiness and contentment. Thank you for the powerful message of this post.